The pencil container is part of a party pack. It has been manufactured from recyclable card. It has been included to contain a number of pencils that will given out t a children’s party. The case is shown as translucent so that you can see how it goes together. Design an alternative lid for the container. The lid must be part of the base and form one net/development. It must not be separate as seen with the example. 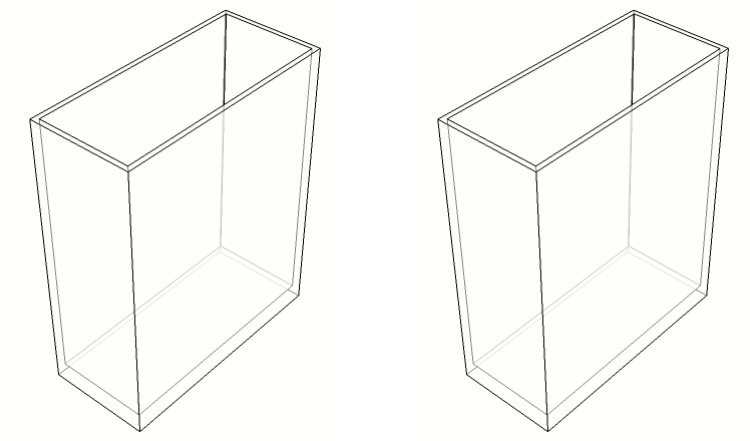 Sketch a rough version of the lid by completing 3D drawing container ‘A’. Then draw a fully rendered version of your design , completing container ‘B’. Add explanatory notes to explain your design.